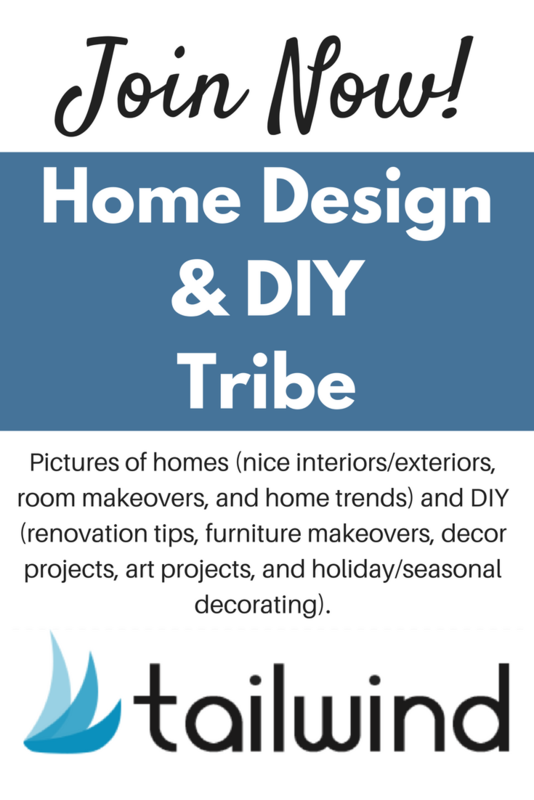 This tribe is for pictures of homes (nice interiors/exteriors, room makeovers, and home trends) and DIY (renovation tips, furniture makeovers, decor projects, art projects, and holiday/seasonal decorating). Please pin for every pin you post. If you don’t follow these rules, you’ll be removed. If you’re interested in joining, CLICK HERE for the invite link. For more info on Tailwind Tribes, here is a Quick Start Guide and the Knowledge Base.